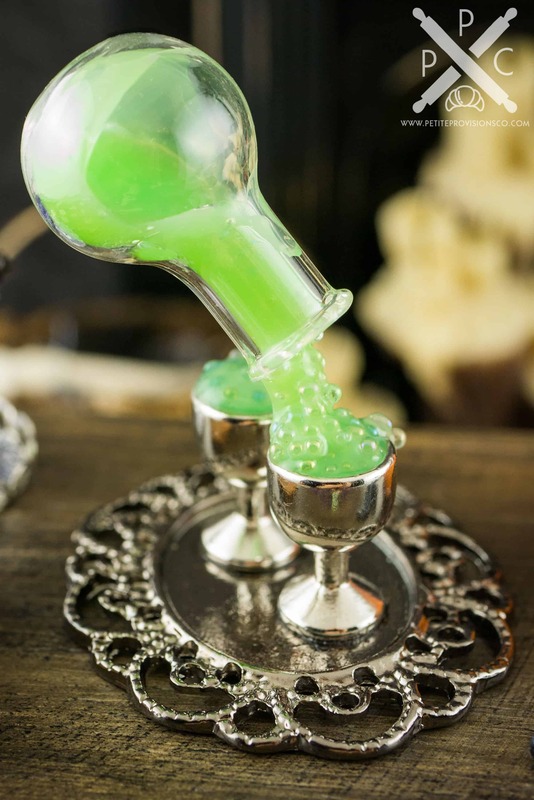 Dollhouse Miniature Halloween Magical Floating Witch's Potion Drink Set on Tray - 1:12 Dollhouse Miniature - The Petite Provisions Co. 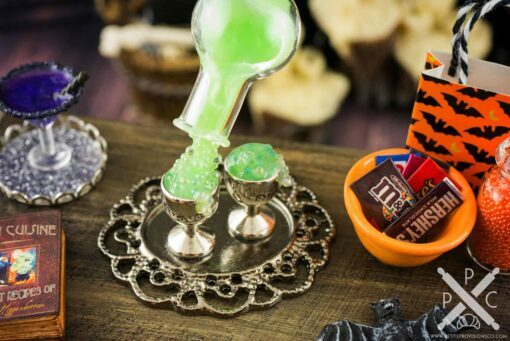 Celebrate Halloween with a magical floating witch’s potion drink set! 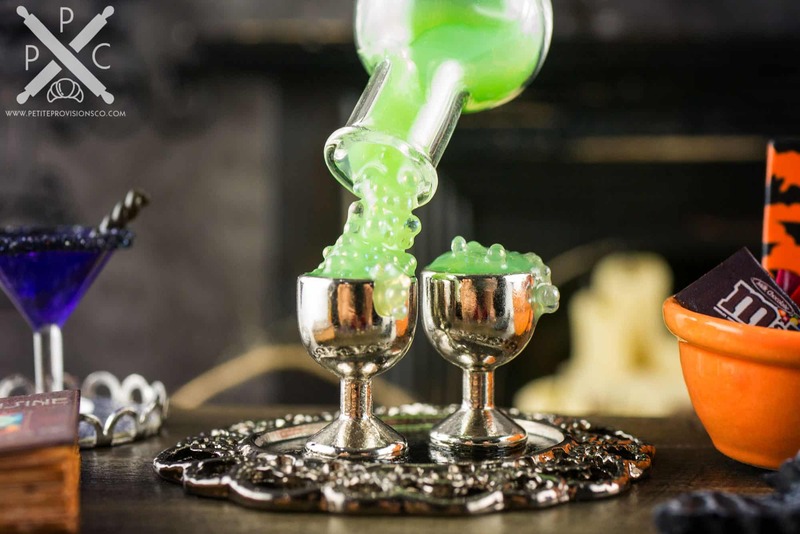 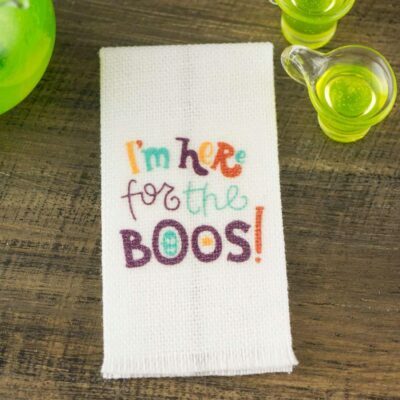 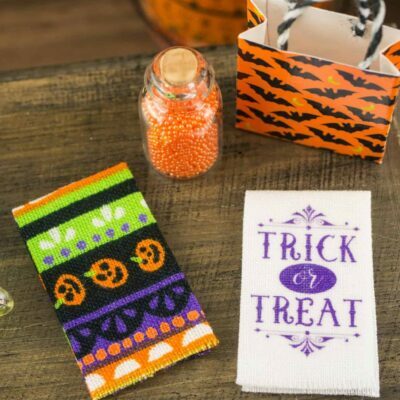 Whether you have a dollhouse or just love all things tiny, this wee spooktacular bubbling drink set is too cute to resist! 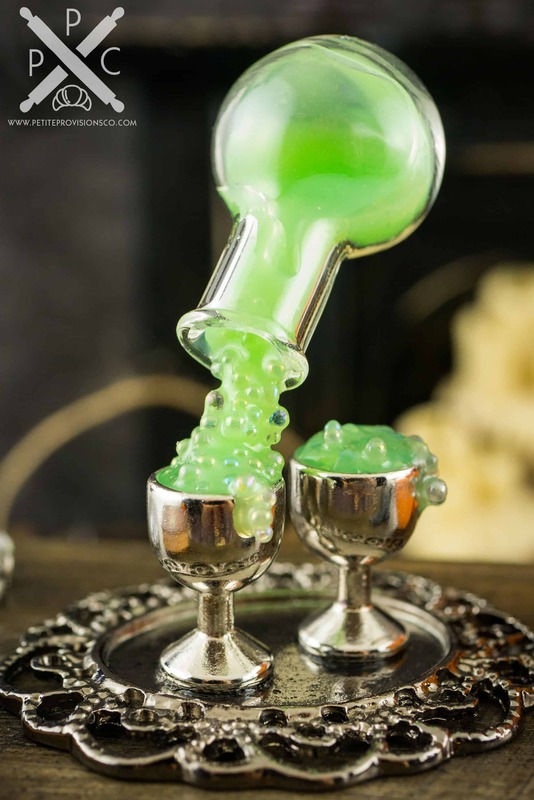 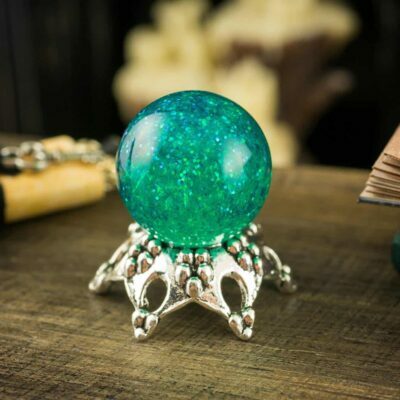 A floating potion bottle filled with a bubbling green concoction hovers magically over a set of silver goblets on a fancy tray. 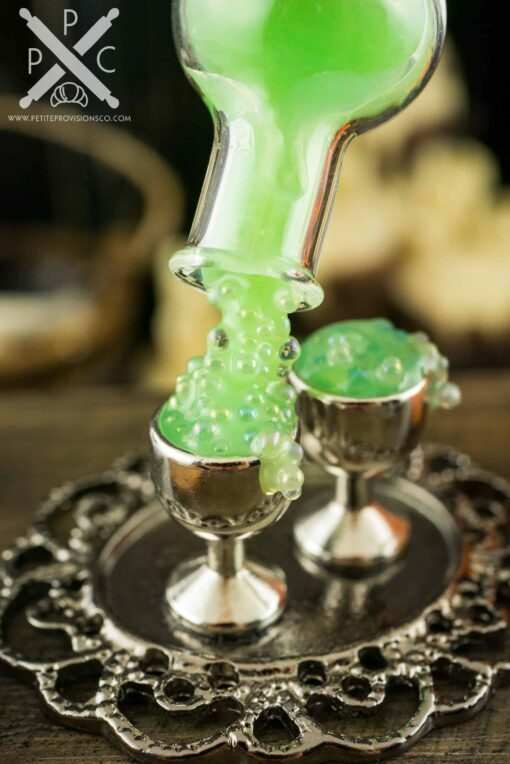 The tray measures 1.6″ long and 1.4″ wide, and the whole piece – to the top of the floating bottle – is 1.8″ high. 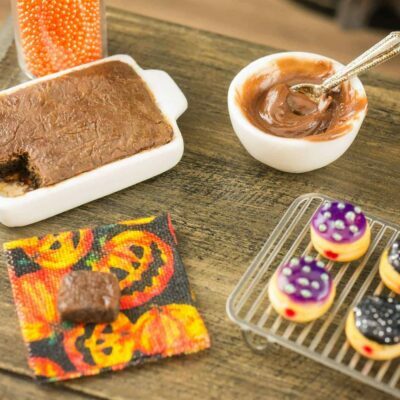 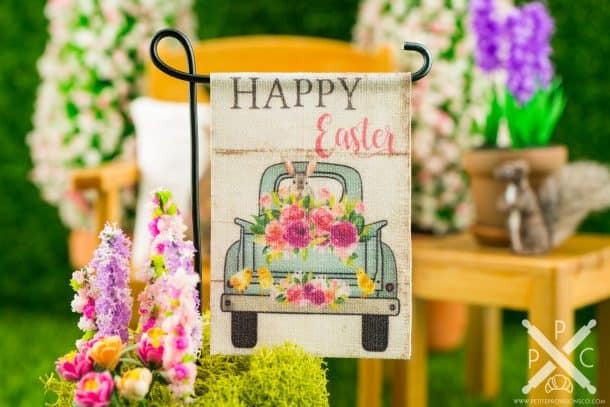 All items are permanently affixed to the tray.